gelatine and cream. A little lemon juice intensifies the full flavor of the mango! 1. Place water, soymilk, sugar and agar in a saucepan and bring to the boil. Reduce the heat and simmer for at least 2 minutes. simmer for at least 2 minutes. 2. Place the mango in a blender and blend well. Add to the soymilk mixture and mix well. 3. Pour the mixture equally into four glasses and refrigerate until set and cool. 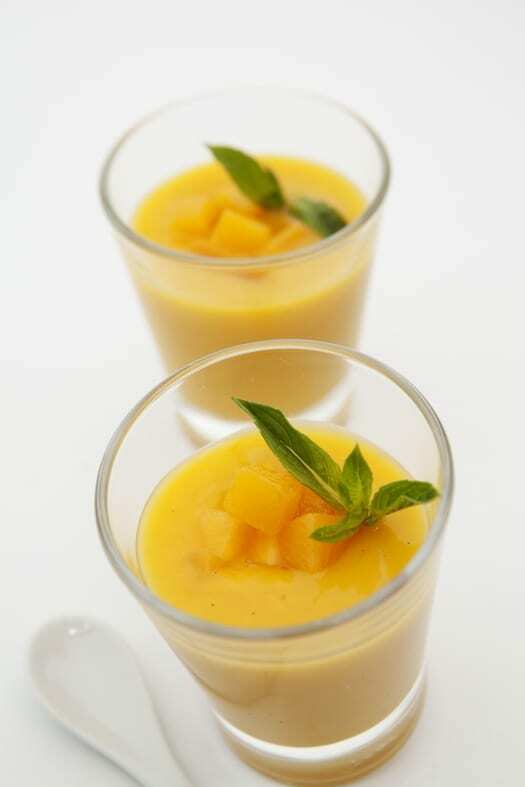 Tip: If your mango is not fully ripened, add fresh orange juice instead of lemon juice or add extra sugar.